Spike up your knowledge on thorny varieties with our guide on the different durian flavour profiles. Hate it or love it, durians exude an exotic appeal that inspires intense devotion. 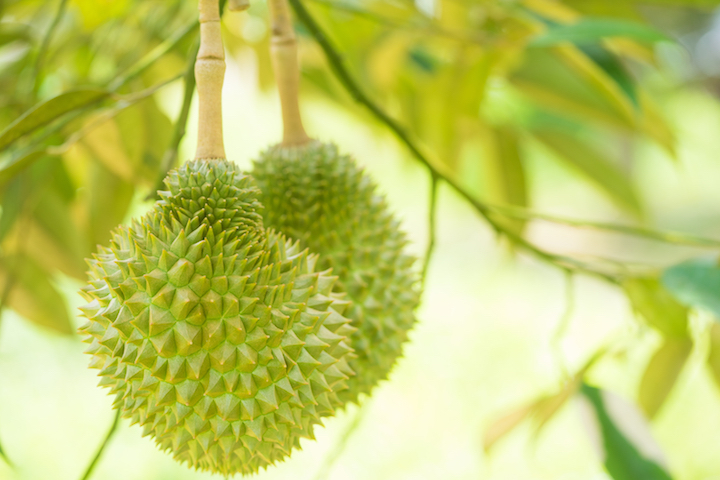 Some might pucker their nose at the fruit's strong smell, yet durian prices are steadily on the rise thanks to heated demand from the China market that, more recently, have fixed their sights on Malaysia's durian supply instead of Thailand's. But what is it about these custard-coated seeds hidden within thorny husks that make them worth top dollar, whenever durian season arrives? We take a look at five of the most popular durian varieties and what they taste like. Slightly less overwhelming in flavour, the D24 is one fruit that you could keep on eating without getting too sick of it. Thick and creamy, the D24 is reliable in terms of the sweet taste profile it constantly delivers. An easy introduction for first-timers to ease into the strong-smelling fruit. The other durian varieties might be nipping at its heels and playing catch up, but Mao Shan Wang remains the most popular of all amongst locals. Mao Shan Wang is almost like the 'Kinder Surprise' of durians, with the unusual combination of both bitter and sweet flesh (sometimes even bittersweet) in one fruit. This means you almost never know what you're in for until you take a bite. Usually well worth the surprise. Perhaps the sweetest durian in town, the Red Prawn (hong xia) gets its name from its vibrant orange-red flesh tone. Creamier than other types of durian without the usual hint of bitterness that comes with most, the Red Prawn has smaller seeds, which means more of the deliciously honeyed flesh to feast on. Slightly pricier as it's a rare find, the Black Pearl doesn't look like much, with its pale yellow flesh that has lightly bruised sections. 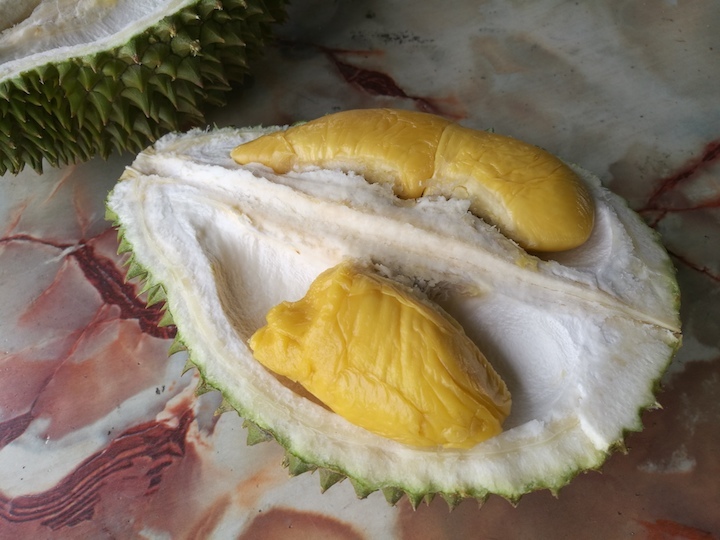 Appearances aside, this gem of a fruit is surprisingly light for a durian, smooth with very little fibre in the flesh, and has a familiar bitter-sweetness that makes it easy to enjoy without being too overwhelming. There's a slight chance indulging in the XO durian can leave you a tad drowsier than other durian types. Strong and bitter with a thick, almost watery flesh, the XO durian is left to ferment for longer inside its shell, giving it an aftertaste that resembles alcohol. COMO Shambhala’s resident dietician Eve Persak shares how you can make the most of fruit, such as when to buy organic and the merits of frozen fruit. All you need to know about purchasing and consuming these special fruit that are grown in the United States. 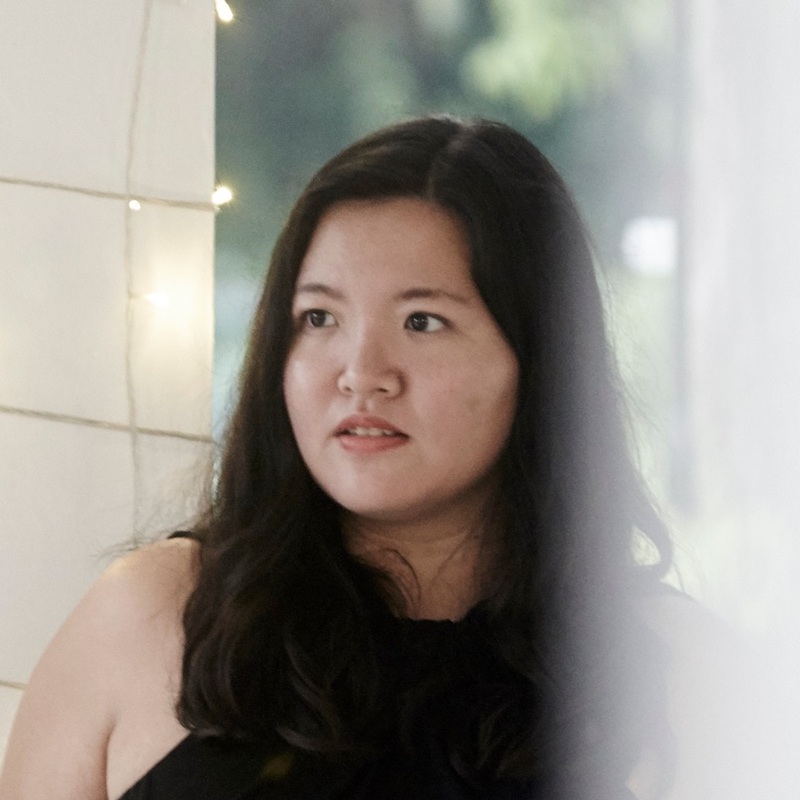 Chef Ton of Le Du in Bangkok whips up fine-dining dishes with ant larvae, wild mangosteen and a special dessert candle.